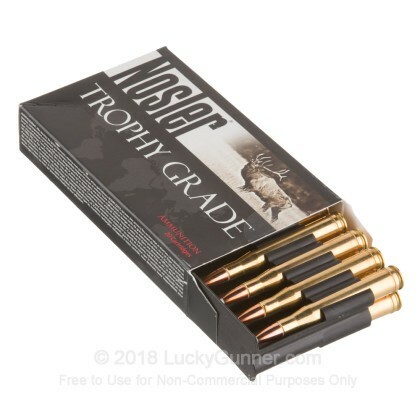 This .300 H&H Magnum ammunition from Nosler's Custom Trophy Grade series delivers the power needed to take down deer, elk, and other game as well as the accuracy necessary for precise long-range shots. 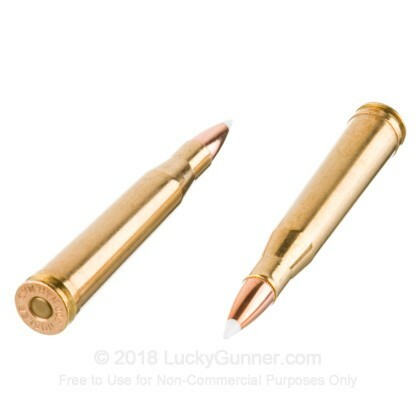 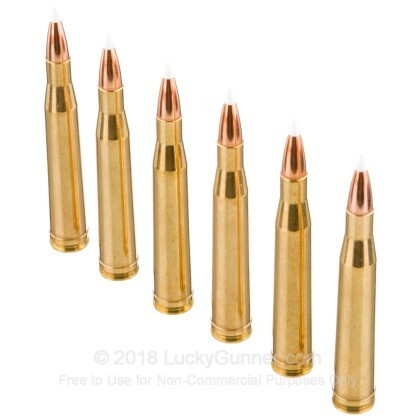 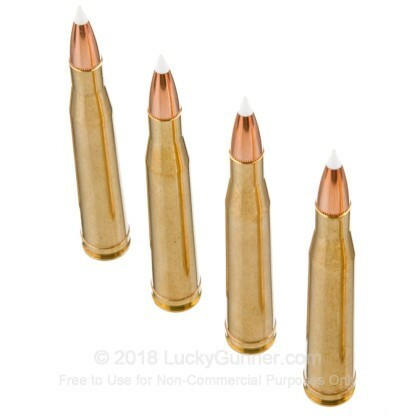 These cartridges fire a 180 grain AccuBond bullet at 2,950 feet per second. 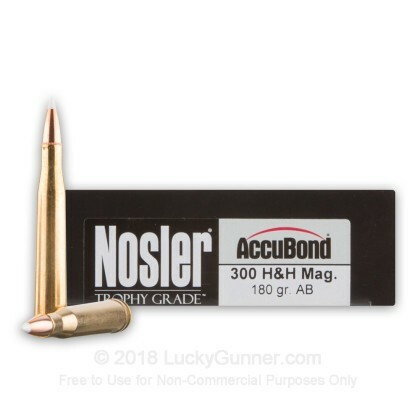 The Nosler AccuBond's features include an aerodynamic polymer tip, tapered jacket, and proprietary bonded core that ensures that the bullet expands without breaking apart in the target. 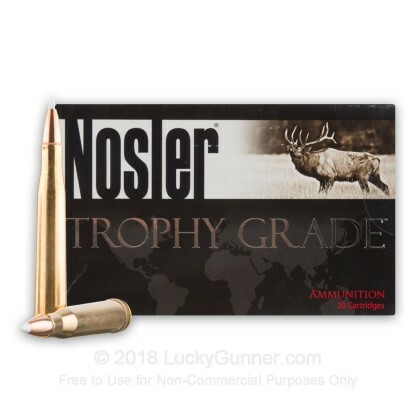 Nosler of Bend, Oregon is a renowned manufacturer of quality bullets, loaded ammunition, and even custom rifles.